Apex-Dry is a lightweight, anti-static high performance baselayer fabric which wicks away moisture, dries fast and protects the skin from the sun with a UPF of 50+. It's teamed with the Apex-Dry underarm mesh to create great air permeability and moisture wicking properties. 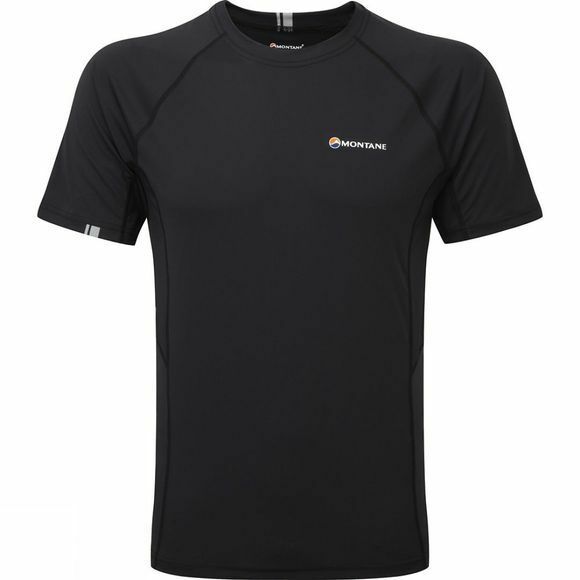 The Men's Sonic T-Shirt from Montane has flat-locked seams to lower the potential for friction, as well as reflective detailing to help you stay visible when out after dark.